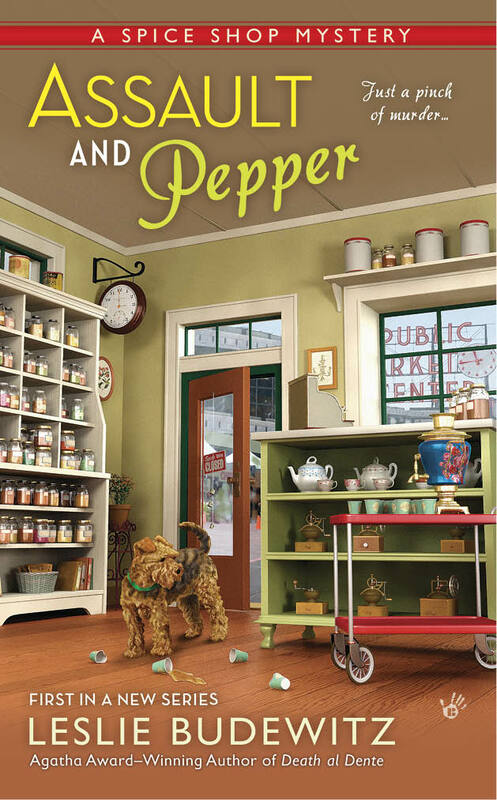 Liz here, and today we have with us the lovely and talented Leslie Budewitz, author of the Agatha-award winning Food Lovers’ Village Mysteries and the brand new Spice Shop Mysteries. 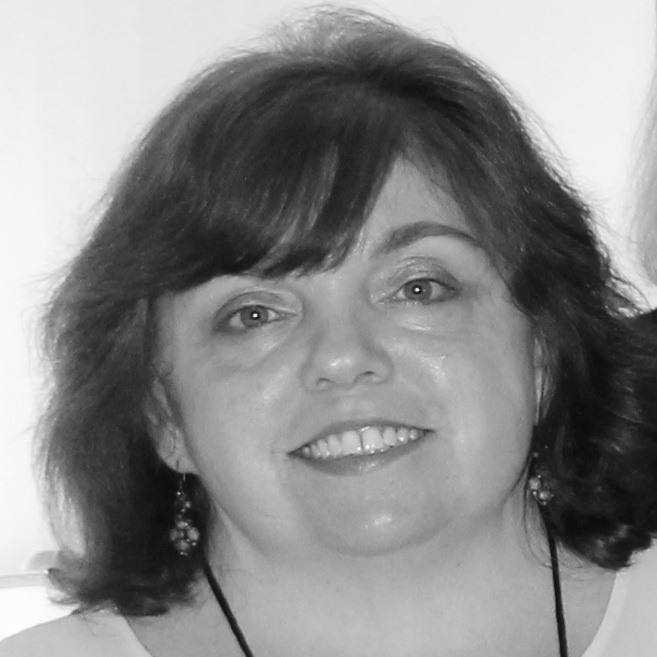 Leslie sat down to talk with me about her books, her characters and her favorite reads these days – and there’s even a shoutout to our own Barbara Ross! 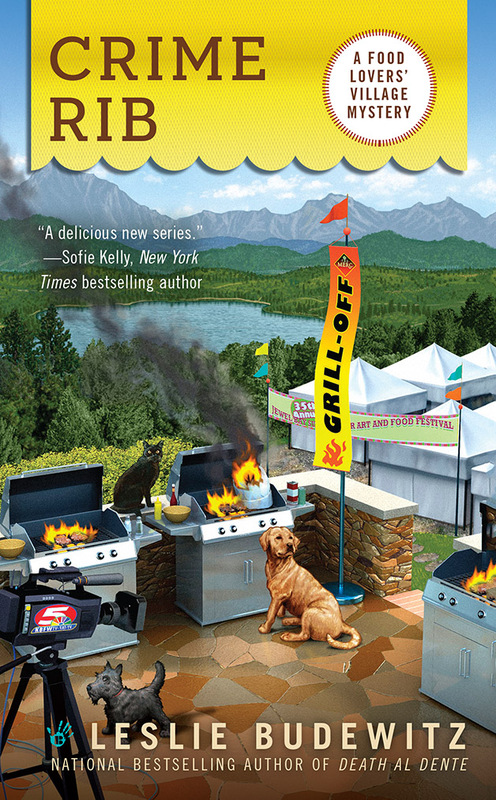 Your Food Lovers’ Village Mysteries take place in Jewel Bay, Montana, a fictional Bigfork. You’re always posting such beautiful pics of where you live on Facebook. Does your fictional town mirror a lot of your real world? It really does. I live in a part of the country—NW Montana, on the road to Glacier National Park—justifiably known for its great natural beauty. But beyond the scenery and the outdoor recreation, this little village—like Jewel Bay—surprises people who don’t expect great art, food, theater, and increasingly, live music in a rural western community of less than five thousand. It’s those contrasts that make it such a great setting for a cozy mystery. And of course, the characters. Boy, do we have characters! Tell us how Erin came to be. Is she like you at all? Did you have someone in mind when you wrote her? Erin Murphy is a lovely young woman, if I do say so myself. Like many characters, she came to life largely on her own: “black Irish,” with dark hair and eyes, but fair skin on a sweet, heart-shaped face. Not at all like her striking Italian-American mother Francesca, called Fresca. Like me, she grew up in Montana but left for several years, returning at 32. It’s a common story and one I wanted to explore through the eyes of a much younger woman. And like me, she’s devoted to her community and committed to supporting local business. We also share the experience of having a name that does not fully reflect one’s heritage, a subtle influence and a source of humor. And we both drive Subarus, but they’re so common around here, that’s no surprise! Erin has business talents I can only envy. She manages her Spreadsheet of Suspicion with the ease of a cat pouncing on a mouse. Oh, there’s another similarity: We both inherited a sable Burmese cat from an elderly friend. It’s great fun to write about a young woman making big decisions: to leave a career and return home to remake—and salvage—the family business, to choose a mate, how to deal with her loving but occasionally intrusive mother and sister. The big difference: She’s courageous—and curious—enough to go after killers. Me, I’d call 911, lock the doors, and turn on all the lights! I’m so interested in mother/daughter dynamics. Tell us about Erin and her mom, with whom she has a bit of conflict. Fresca was widowed tragically when Erin was a senior in high school. She made the decision to shield her youngest child from her own pain—a decision with consequences fifteen years later, when Erin returns to Jewel Bay. Since her husband’s death, Fresca’s been running his family business, but she’s more passionate about pasta than retail, and recognizes that Erin has the skills and drive to make the struggling Merc succeed. Still, inviting an adult child to take over and actually giving her the reins are two different things. That conflict is the primary source of tension between the two. At heart, they love, respect, and enjoy each other. I’ve been able to draw on observations of other families—especially those in business together—as well as my own. Of course, when you give a real-life experience to a fictional character, it changes—sometimes surprising even me! Your recipes are amazing! How do you come up with them? Thanks! I admit, I get a little carried away with the food! Each book involves a festival, so the recipes enable the reader to recreate some of the festival food at home. Other recipes describe dishes Erin eats at home, with her family, or in one of the village’s many restaurants. In both Death al Dente and Crime Rib, a recipe plays a role in solving the mystery. Some come from my own collection; others I’ve found or created to fit the story. All have been thoroughly tested and carefully written so that both novice and experienced cooks can have as much fun with the food as Erin and I do. Ooh, tough question! The one downside of writing is that I don’t get to read as much as I used to, and sometimes can’t keep up with series I love. Two I can’t get enough of are Louise Penny’s Gamache novels and Alan Bradley’s Flavia DeLuce tales. I’m also dying to find out what happens next in Barbara Ross’s Maine Clam Bake mysteries! What’s next in Jewel Bay? And of course, there will be tons of recipes—because I just can’t help myself! Thanks for stopping by, Leslie! Readers, questions for Leslie? Leave them here and she’ll stop by to answer them! 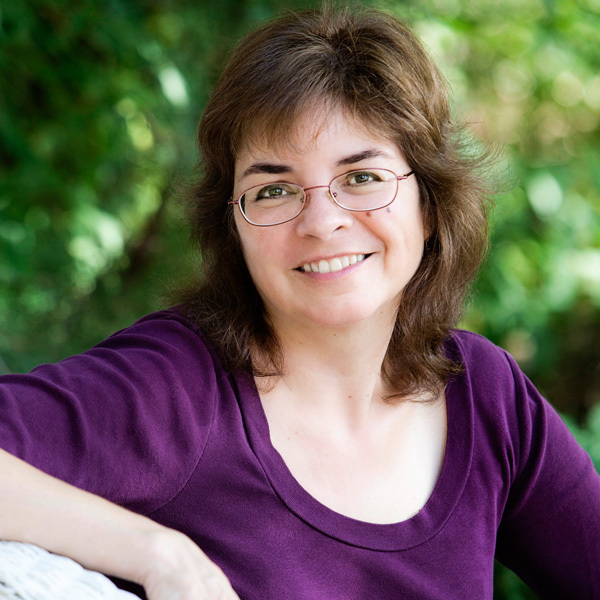 Leslie Budewitz is the bestselling author of the Food Lovers’ Village Mysteries and the Seattle Spice Shop Mysteries. She is passionate about food, great mysteries, and her native Montana. Also a lawyer, Leslie won the 2011 Agatha Award for Best Nonfiction for Books, Crooks & Counselors: How to Write Accurately About Criminal Law & Courtroom Procedure, making her the first author to win Agatha Awards for both fiction and nonfiction. Leslie loves to cook, eat, hike, travel, garden, and paint—not necessarily in that order. She lives in northwest Montana with her husband, a musician and doctor of natural medicine, and their Burmese cat, an avid bird watcher. Thanks, Gram! The Going to the Sun Road is truly one of the most spectacular places on earth. We feel privileged to live amid such beauty. I love the Jewel Bay mysteries, Leslie, and can’t wait to read the Spice Shop series! Welcome to the Wickeds. Thanks for the welcome, Edith — I’m delighted to be a Wicked for the day! I love your titles, Leslie — they are always so clever! I have a Seattle based series sitting in the drawer. It’s such a great city. I look forward to reading Assault and Pepper! Thanks for joining us today! Thanks, Sherry! Berkley Prime Crime has given me great covers and titles. Seattle is a marvelous backdrop for mysteries. Good food, too! Leslie, I love the idea behind each of your series. It must be fun to write about two different places. Thanks of being with the Wickeds today! Thanks, Jessie! Armchair travel isn’t just for readers! Crime Rib was great! Looking forward to Assault & Pepper. Thanks, Patricia! There will be at least one more Food Lovers’ Village book, Butter Off Dead, out next July. Oh, Leslie–thank you for the wonderful shout out. And may I say, right back at you! Crime Rib is terrific and I know Assault and Pepper is going to be a huge hit. Both series are such a treat for us easterners who get to be arm chair travelers. I’ll take the West, you take the East, and we’ll happily meet — and eat — on the page! Thanks to all of you for letting me be Wicked for a day!